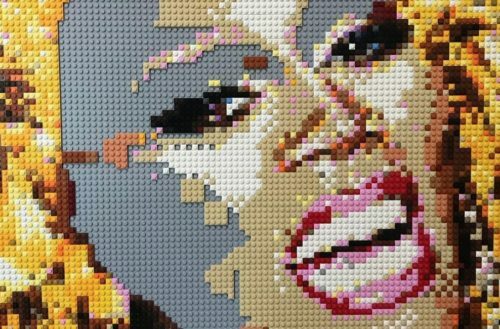 Samuel Hatmaker is a toy designer who has been molding his favorite divas into gigantic portraits made only from Legos. So far, he’s created Madonna, Wonder Woman, Bette Midler and Princess Leia, among others. His latest subject is the mother of all drag queens, RuPaul herself! Even though the Lego artist is not quite finished with his RuPaul portrait, we just had to share his progress because his work is truly gag-worthy. Hatmaker is an artist currently based in rural Michigan. For years, he’s designed and developed children’s toys for Marvel, DC, Hello Kitty, Nickelodeon, Disney, Crayola, Mattel, Hasbro and many more. In addition to his professional work, he creates dolls, action figures, costumes, prop pieces, lamps and Lego art. Hatmaker’s Lego creations have gone viral before. Remember that Golden Girls set the internet went crazy for? That was his, too. Ellen DeGeneres even featured it on her show’s website, and because of the hooplah, Lego considered officially making it. Through an online vote on their website, it became the most supported set in Lego Ideas history. 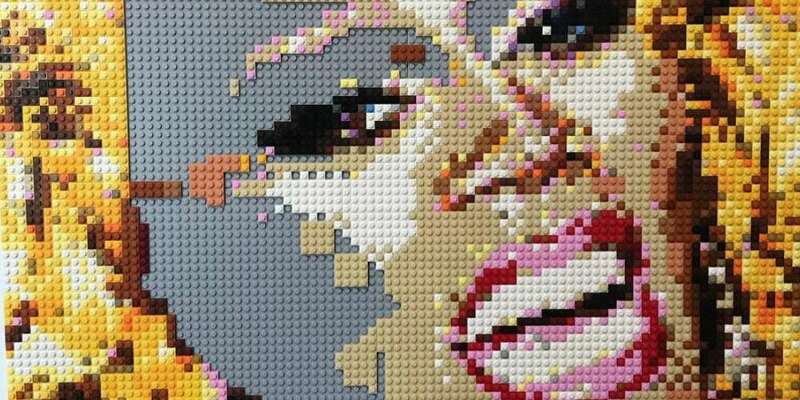 “Chicks With Bricks” combines pop icons and Lego bricks, two major influences on the life of the out artist. RuPaul was especially influential on him, as he didn’t have any other gay role models to look to. “Looking fabulous doesn’t hurt either,” Hatmaker tells us. To see more of Lego artist Hatmaker’s amazing work, head here.